A Christmas Concert from 'World Cafe' Many songs heard at Christmastime are so well known, they merely become background noise. To counteract that trend, Christmas at the World Cafe presents soulful roots music inspired by the holiday. Many songs heard around Christmastime are so well known that they pass right by listeners' ears, blending into the holiday background. To counteract that trend, Christmas at the World Café presents soulful roots music inspired by the holiday. The concert was recorded onstage at the World Cafe Live venue in Philadelphia. Among the performers are sisters Kate and Anna McGarrigle, who have been recording beautiful folk music since 1974. Their "Rebel Jesus" -- also heard on their new album, The McGarrigle Christmas Hour -- anchors the show. Like the McGarrigles, the acoustic Old Crow Medicine Show performs versions of classic Americana on fiddle, banjo, and guitar -- just about anything they can lay their hands on. 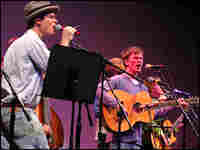 The group, which recalls the Appalachian jug-band tradition, brings a youthful zeal to Canadian folk singer Stan Rogers' "First Christmas Away." The evening's bill is rounded out by solo artists Jonatha Brooke and Raul Midon, who put an intimate spin on their Christmas favorites. 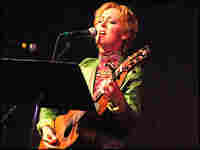 Brooke is known for her captivating stage presence, and she uses it to advantage on "Last Christmas," the bittersweet ballad from the 1980s group Wham(!). Midon takes the stage for a trio of classics: "Silent Night," "Jingle Bells" and Mel Torme's "The Christmas Song," which Nat King Cole helped make famous. 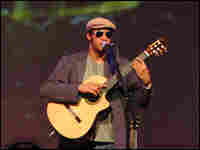 Midon's voice recalls classic soul singers from Donny Hathaway to Richie Havens. With David Dye serving as host, the songs for the concert range from the hand-made to the down-home. But while some of the music may be old-fashioned, on stage it is infused with vitality and energy.